Summer is in full swing, and IGDA Phoenix keeps going strong! Join us at 7:00pm on June 24th, 2015 at Brickyard Artisan Court in Tempe! Note that this month the meeting is being held in room BYAC 270. The slides from this talk are now available. Games are full of data, but the degree to which it is easy to change and manage that data can have a huge impact on your team’s ability to iterate and deliver a quality product. This talk will cover many of the tools and techniques Boldly Games has found to maximize the editablity and visualization of the data we use to construct games. Although primarily about Unity tooling, the techniques utilized are broadly applicable. Presented by David Koontz, and Trenton Greyoak. David started using GW-Basic on his parent’s 286 in the mists of the ancient past. After taking a brief 10 year detour into the seedy underbelly of IT with Java and Ruby, David returned to the ranks of game developers. Before joining Boldly he worked as a Unity3D freelancer as well as working on “impact games” at ASU and for groups like Archaeology Southwest. 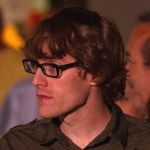 David has also moonlighted as a teacher of programming and game design at the Art Institute of Phoenix for the past 8 years where he has overseen many successful student projects including the 2012 IGF winner Dust. Trenton got his start in the industry working for Sony Online Entertainment in the perpetually weird city of Austin, TX. 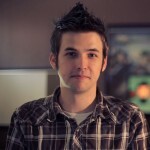 He worked on DC Universe Online for several years mostly as a content designer. After his baby (an unannounced MMO) was sent to purgatory he decided it was time to go indie and make his own bad decisions. Now he spends his days programming in Unity, GMing Dungeon World, and starting a life with Deanna. Noah Dyer is working on a small project that will be ready for playtesting immediately following the IGDA meeting on June 24th. Just stick around after the meeting and give it a shot! The presentation will be located in classroom 270 in the Brickyard Artisan Court building at ASU. The entrance is located at the fountains right next to Ike’s Place on Mill. After the presentation we’ll be heading upstairs to Endgame for food, drinks, and hanging out!